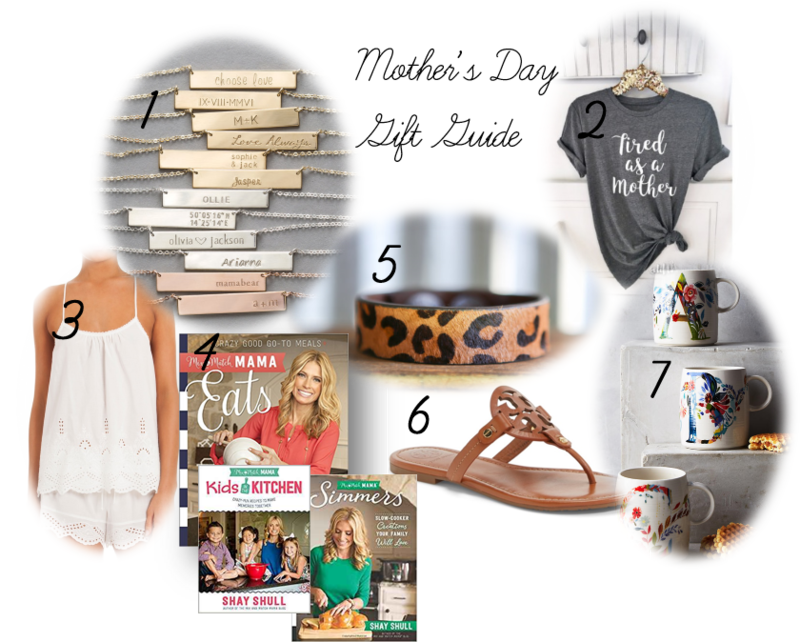 Mother's Day is just over a week away, so I thought I'd share some fun gift ideas for the mom(s) in your life! 1 / / Personalized jewelry is always perfect. I have a necklace from Layered and Long with both of my boys names on it and I wear it all the time. I can keep them close to my heart this way. 3 / / I'm never one to wear anything but shorts and a tee to bed, but there are so many cute pajama sets out right now. I'm especially loving these. 4 / / I love to read Shay's blog and I've made several of her recipes. If you've read my blog for any length of time then you know Colson also loves to help me in the kitchen. Shay has five cookbooks and these three are definitely on my wish list. 5 / / I recently bought a personalized cuff from Farmgirl Paints and I love it. She has so many different cuffs to choose from and you can have it personalized with anything you can think of. I don't think you can go wrong with some fun personalized jewelry. 6 / / I love a good neutral sandal that I can wear with anything. I've heard amazing things about these sandals. They are comfortable, cute, and practical to chase your toddler around the playground. 7 / / Caffeine is a must for me. 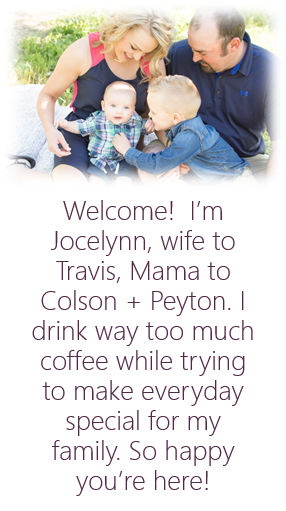 It keeps me going through out the day with my two boys and I love drinking my coffee out of a cute mug. These mugs from Anthropology are just one option out of the adorable mugs.